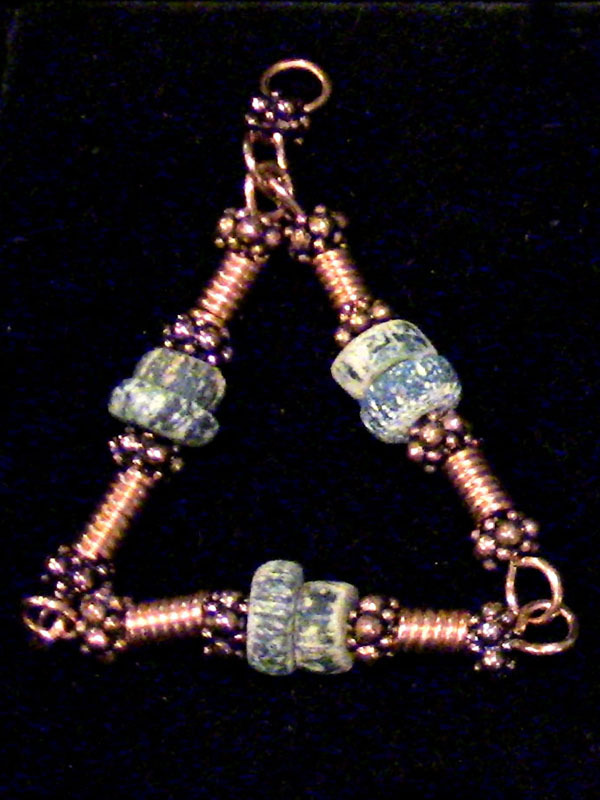 Ancient Blue Cobalt Glass in modern copper wire & findings reconstruction. Put the Triad in the above photo beside your bed for lucid dreaming and access to spaces you wouldn’t normally be allowed to enter. You can use any of these Triads for lucid dreaming, and all of them will give you passage to MOST, but not all, of the Portals and Gateways you might possibly be able to locate and actually get to in person.